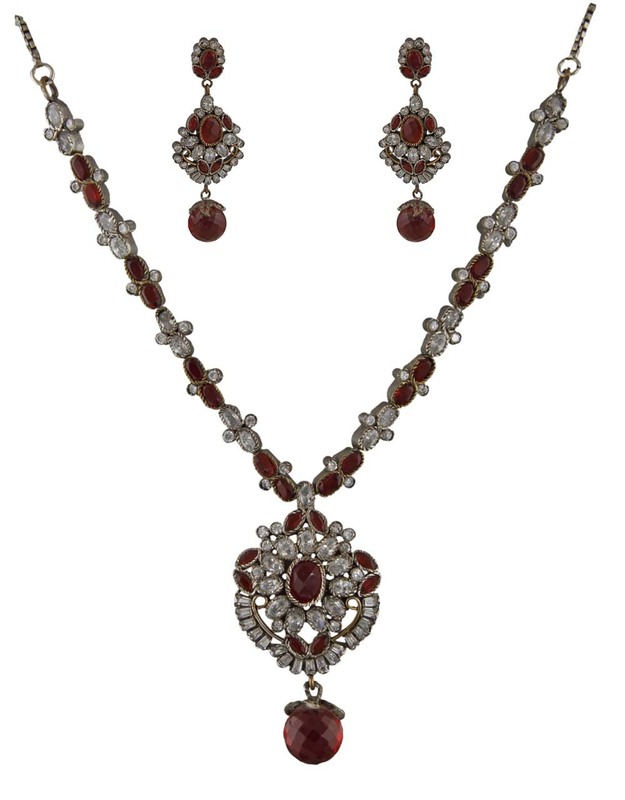 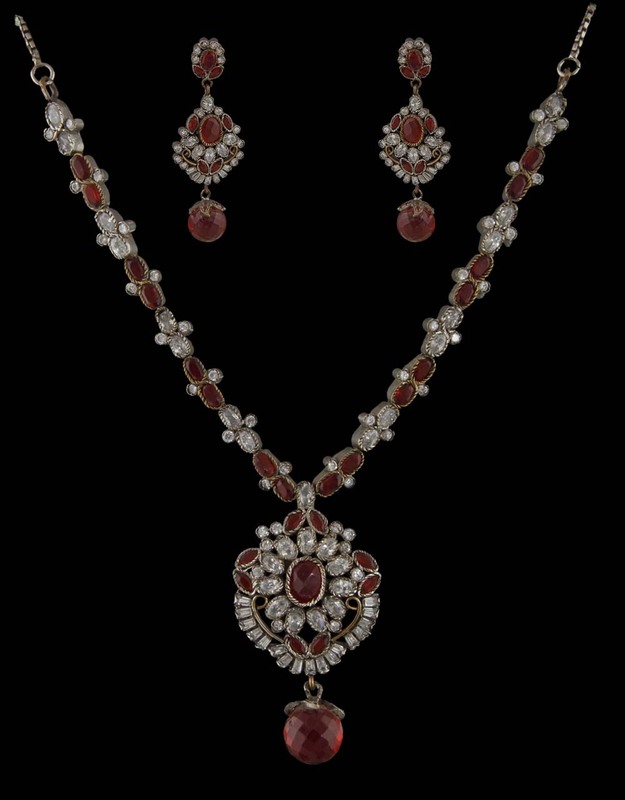 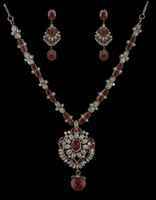 You will look exceedingly gorgeous by wearing this elegant silver- maroon colored necklace set by Anuradha Art Jewellery. 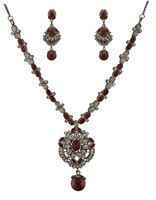 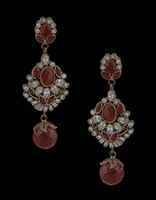 It is styled with stunning maroon & white colored stones; fashioned from 40% silver & Victorian polished copper. 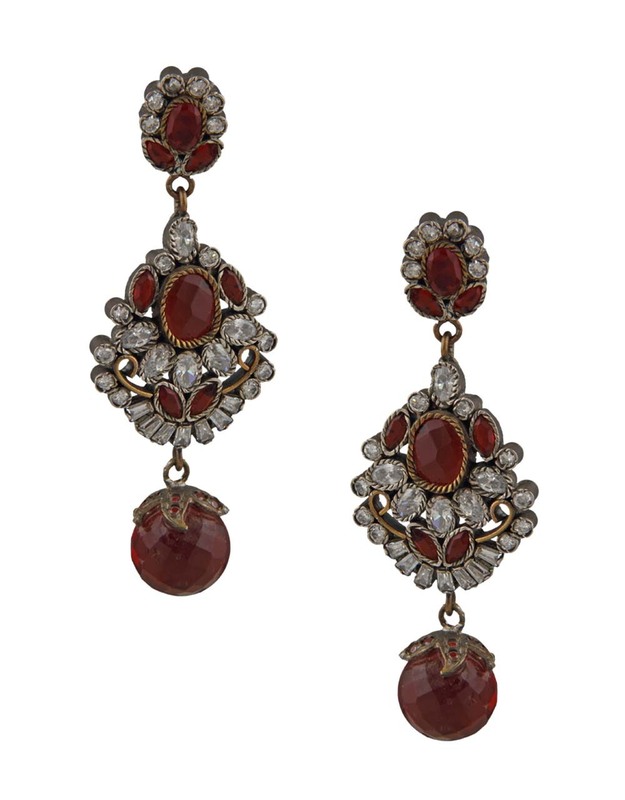 Team it with ethnic matching outfits to complete your look for any festive occasion.